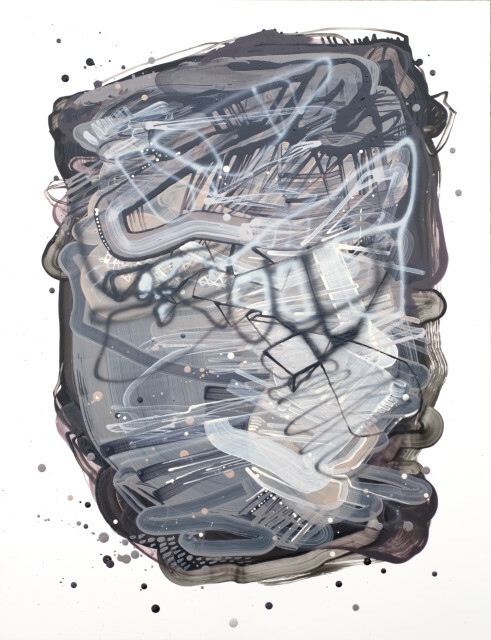 These works celebrate paint while blurring the line between figurative and abstract. I use my camera roll for reference and images of family, friends, and movies drive the composition. Abstraction ameliorates semi-realistic underpainting giving recent memories new form. Figure, object and landscape, spin out and smear together as the paintings shudder with a pulsing, nervous energy. I use anxious, frenetic mark making to mirror a world distorted by apprehension. The forces of obligation and yearning simultaneously charge and bind domestic environments. These paintings attest to the inherent emotional conflict of parenting young children, and the fragility of comfort and happiness in America.